If the world’s most famous rivers don’t rock your boat anymore and you’re craving an off-the-beaten-track cruise destination, you might want to immerse yourself in some of these more undiscovered rivers. All over the world, blue gems lined with tremendous treasures for the intrepid traveller await – yet many of them are highly underpromoted, which means you might well be the first of your friends to cruise their waters! 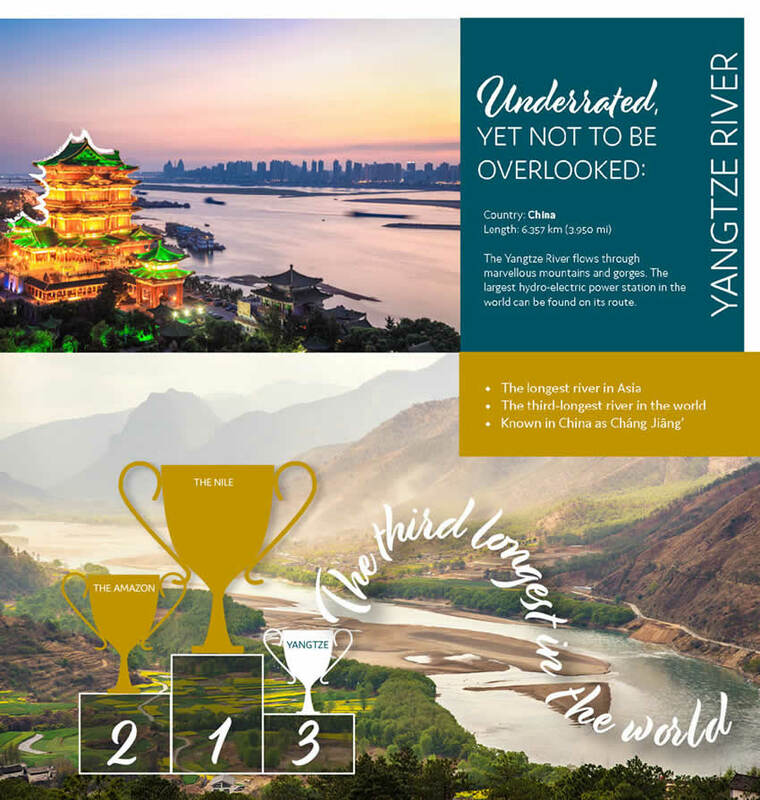 This month, we replace the most famous rivers of the world with the most interesting rivers of the world, uncovering some unique destinations well worthy of the spotlight. If you’re looking for a bit of a rush, the turbulent rapids and foaming white waters of the Al Assi River, nicknamed ‘the disobedient one’, are for you. 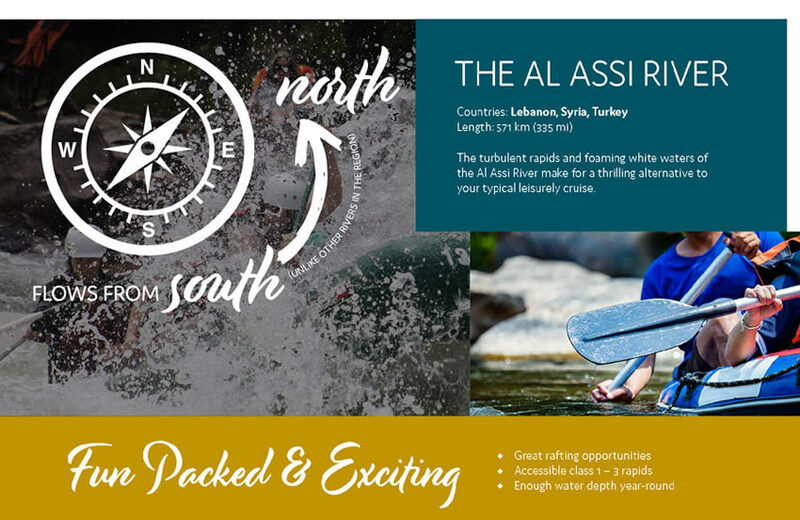 Flowing north from its source in Lebanon's Bekaa Valley to Syria and onwards into Turkey, this underrated rocky river makes for a thrilling alternative to your typical leisurely cruise. 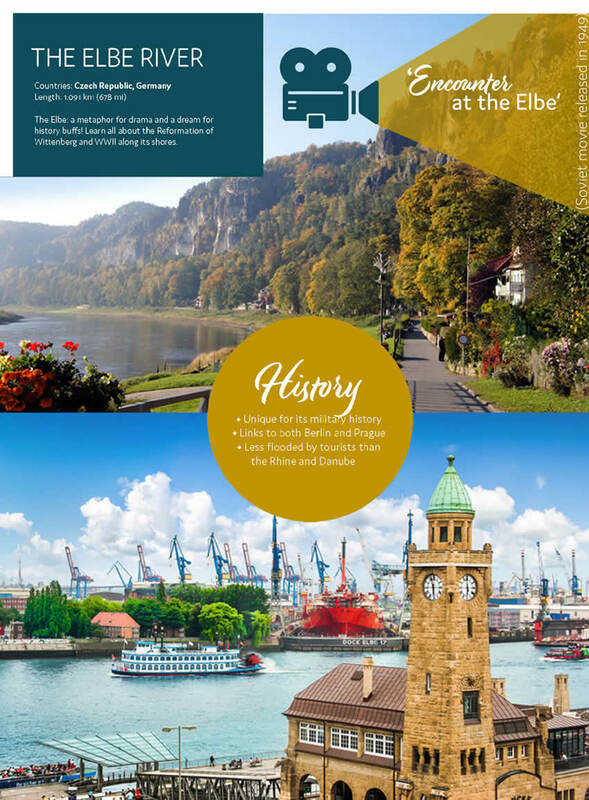 The Elbe has been known as a metaphor for drama throughout the course of history, making it a dream for history buffs. From the violent Reformation of 1517 in Wittenberg and the WWII clash between US and Soviet forces in Torgau to the WWII bombing raids on Prague and Dresden, it’s as if the Elbe has brought turbulence to all the places that line its shores. Nowadays, however, its fascinating history lies hidden beneath a landscape of lush, verdant vineyards and spectacular mountain scenery. When travelling to Myanmar (still commonly referred to as Burma by many English-speaking countries which do not recognise the legitimacy of the ruling military government), you’re not just visiting a country that has long been off-limits to the rest of the world; you are also helping to rebuild a nation. 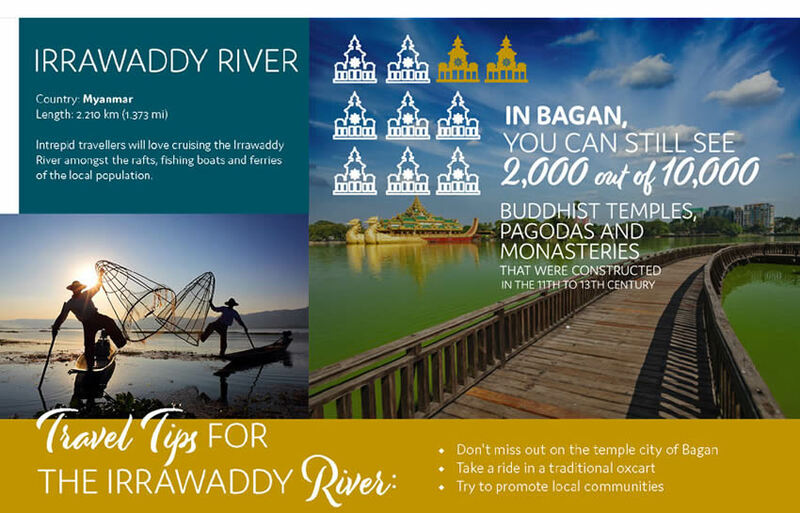 Intrepid travellers will love cruising the region’s most important waterway, the Irrawaddy River, amongst the rafts, fishing boats and ferries of the local population. 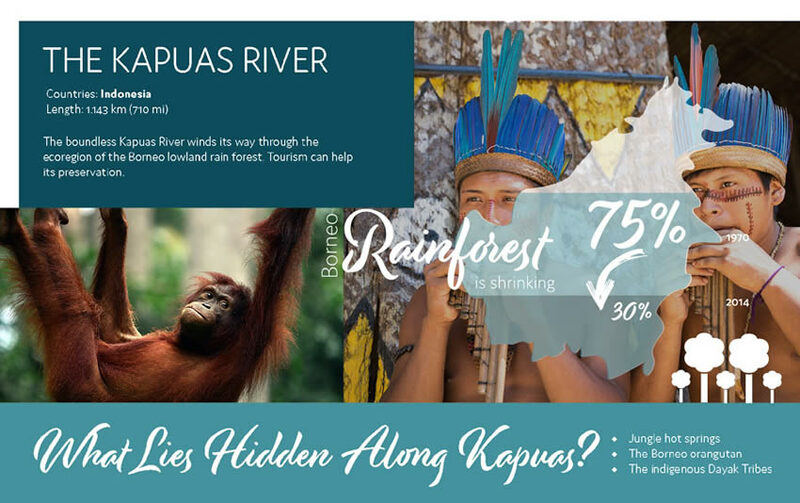 The boundless Kapuas River winds its way through the ecoregion of the Borneo lowland rainforest, a wild and bountiful jungle on the Indonesian part of the island. Logging, hunting and palm oil production are amongst the biggest threats to this amazing natural treasure, and tourism to the Kapuas River and the surrounding rainforest can help promote its preservation. What Lies Hidden Along the Kapuas River? Over three quarters of the Yangtze River flows through marvellous mountains and gorges, but natural splendour is not the only treat you can enjoy when following this enormous river: the cities of Shanghai, Yichang and Chongqing as well as the Three Gorges Dam, the largest hydroelectric power station in the world, can be found on its route. 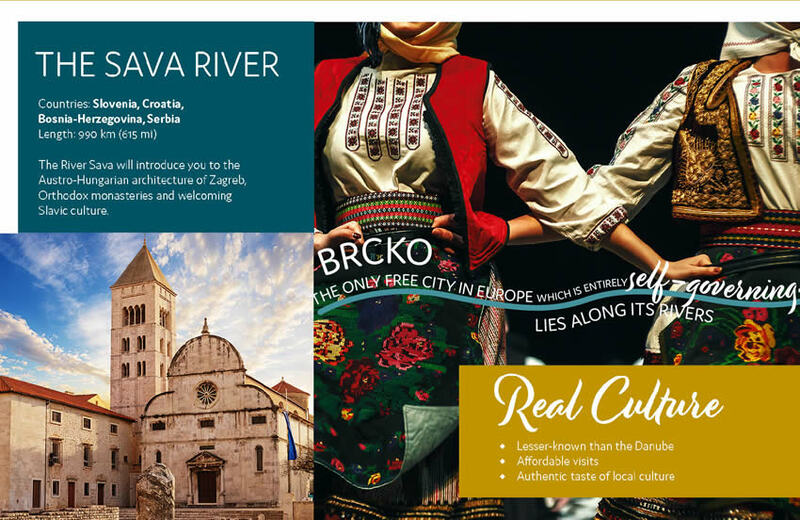 The River Sava will introduce you to highlights like the 18th-century Austro-Hungarian architecture of Zagreb, the welcoming Slavic culture of Serbia, the Orthodox monasteries of Krušedol and Sremski Karlovci and the notable Bosnian town of Brčko, the only free city in Europe which is entirely self-governing. 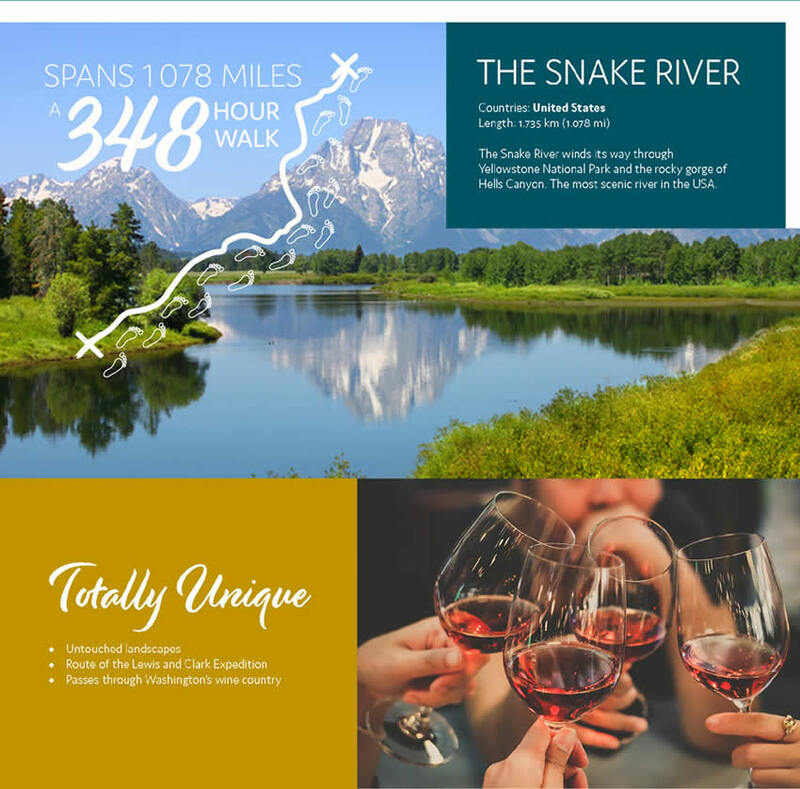 The Snake River, winding its way through Wyoming, Idaho, and Washington State, provides by far the most picturesque views of any river in this list. Highlights on its route include Yellowstone National Park, with its colourful hot springs, geysers and dramatic canyons and the rocky gorge of Hells Canyon. The mountains, plains and canyons that surround this river are the result of large-scale glacial erosion which happened in the last Ice Age. What Makes the Snake River Special? 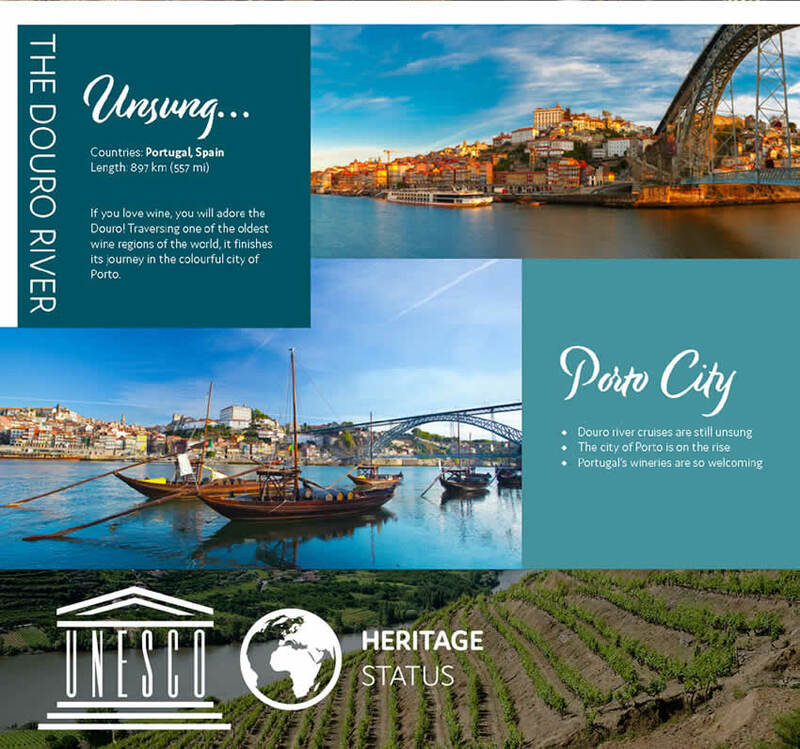 If you love wine, you will adore the Douro! Rising in the Urbión Mountains of Spain, this unsung river passes through the medieval city of Soria, Peneda-Gerês National Park, one of the oldest wine regions in the world and the village of Barca D'Alva, from which it’s easy to reach the Spanish university city of Salamanca. The Douro finishes its journey in Porto, where golden rooftops and delicious wineries await. Saúde! A journey along the Chobe River will have you meet with elephants, zebras, lions, leopards, gazelles and more, all from the safety of a boat or open-air vehicle. 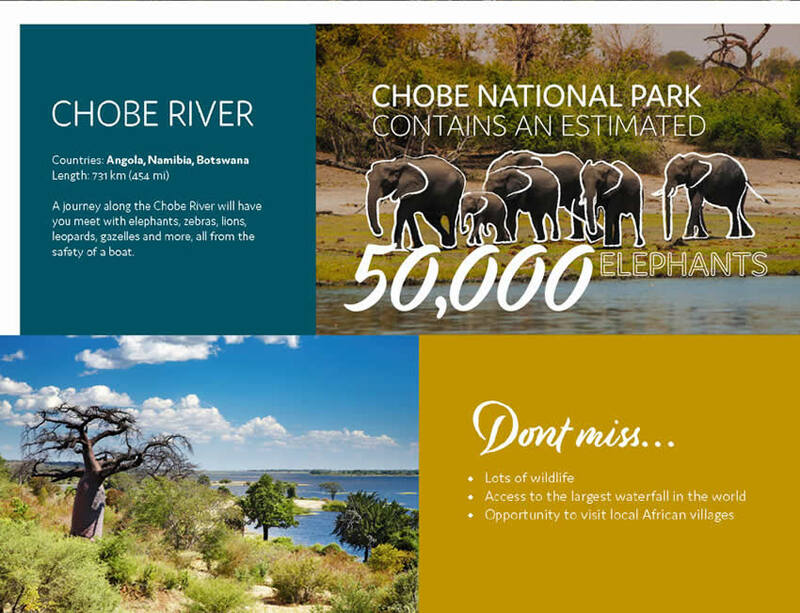 Running through Chobe National Park, which is teeming with wildlife, and up towards the Victoria Falls (locally known as ‘The Smoke that Thunders’), a safari along this river gives you an unusual view of Southern Africa. The Mekong River – running from the Tibetan Plateau in China through Myanmar, Laos, Thailand, Cambodia and Vietnam to its estuary in the South China Sea – has been a lifeline for local communities for over 4,000 years. 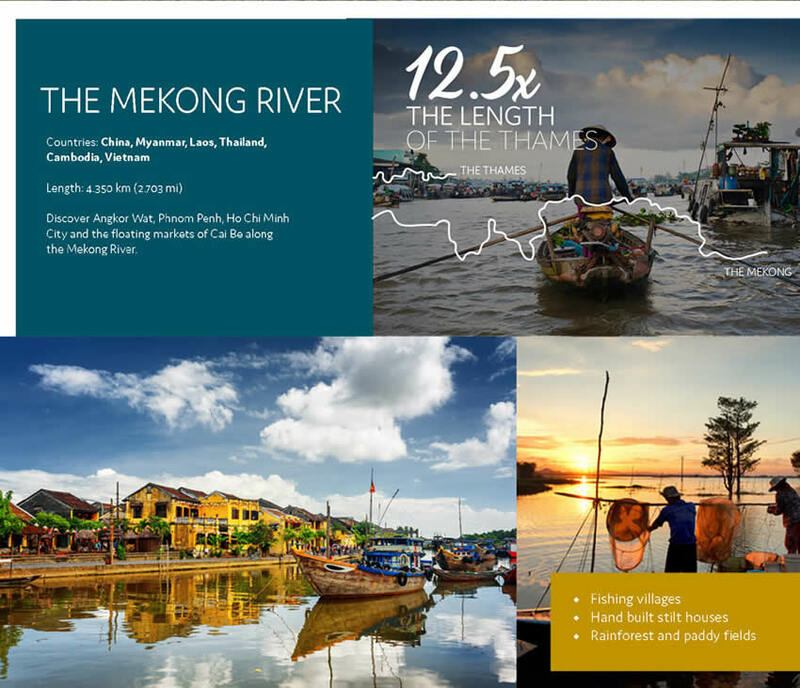 Although the occasional rapids and waterfalls along with seasonal flow variations can make the Mekong River tricky to navigate, large parts of it are accessible for most of the year. 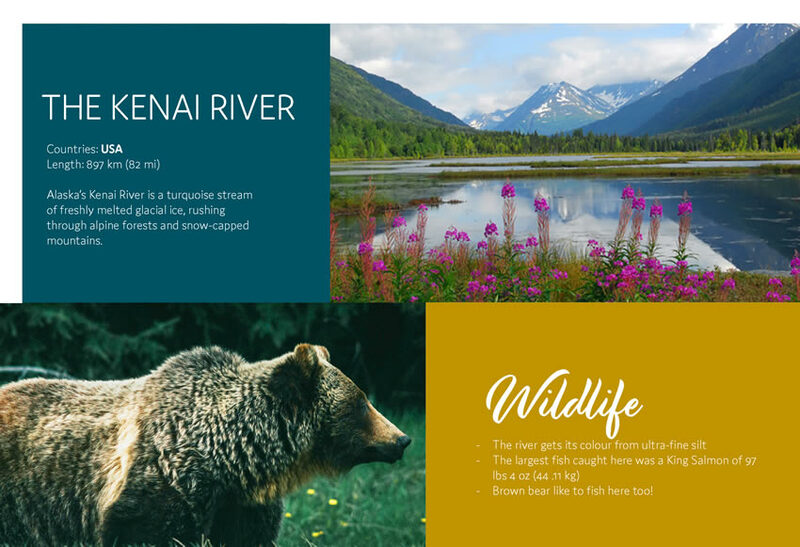 Alaska’s Kenai River is a turquoise stream of freshly melted glacial ice, rushing from its source in the Kenai Mountains through a breathtaking landscape of alpine forests, snow-capped mountains and ice fields to the Cook Inlet of the Pacific Ocean. The abundant local wildlife includes moose and caribou and the area’s crystal-clear waters have drawn fishing fanatics to its shores for thousands of years. Brown bears like to fish here too! The tranquillity of the Waikato river, named after the Maori word for ‘flowing water’, is cherished and enjoyed by many. Whilst the river itself proves popular for kayaking, boating, rowing and trout fishing, its banks are much loved amongst bikers, hikers and joggers. 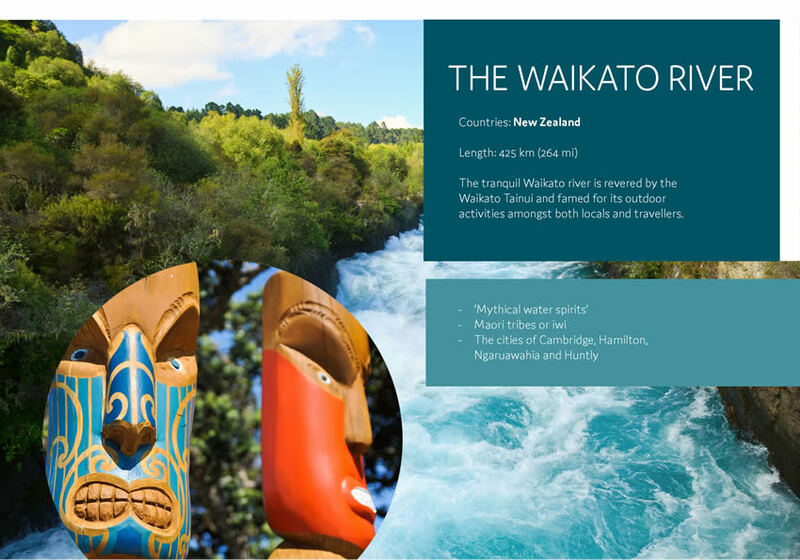 The Waikato has a strong significance for Maori in the region, especially for the Waikato Tainui. 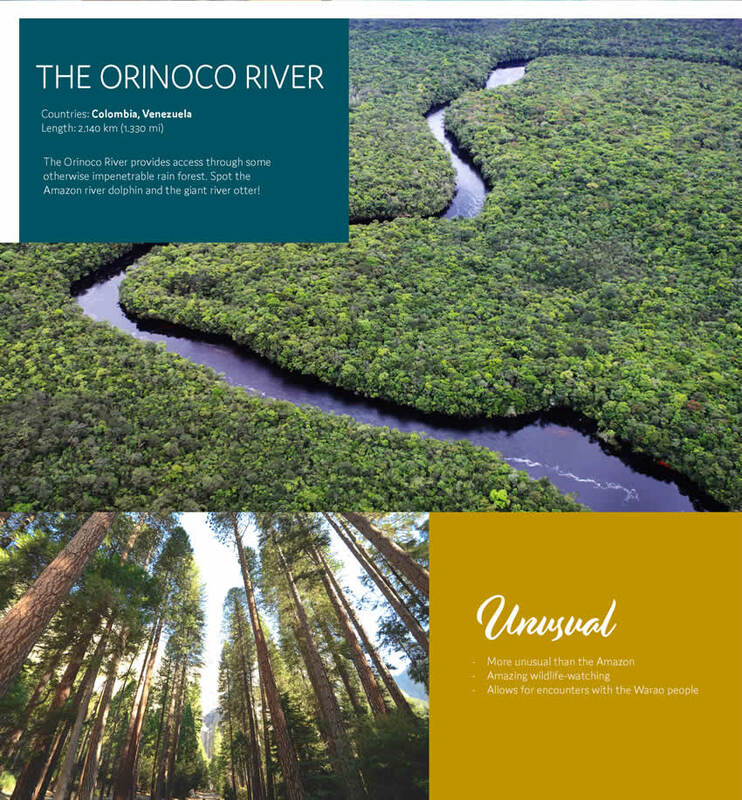 The name Orinoco is derived from Warao words meaning ‘a place to paddle’ or ‘navigable place’, and indeed the Orinoco River provides access through some otherwise impenetrable rainforest as well as to the vast savanna region of the Llanos grasslands. Its waters are teeming with fish, and with a little bit of luck you will be able to spot the Amazon river dolphin and the giant river otter. The Ganges is one of the most sacred rivers in Hindu tradition. 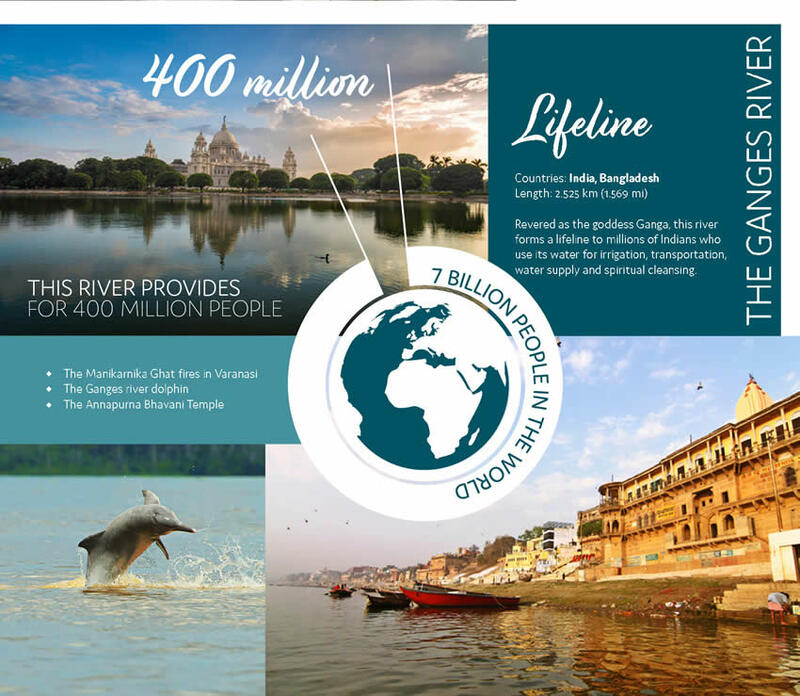 Revered as the goddess Ganga, this river forms a lifeline to millions of Indians who use its water for irrigation, transportation, bathing and water supply, but also to pay homage to their ancestors and wash themselves clean of sins. Due to its many uses, the Ganges is highly polluted – as tourists, it’s better to stay on rather than in the water in order to avoid illness. Tempted to Explore New Territories? 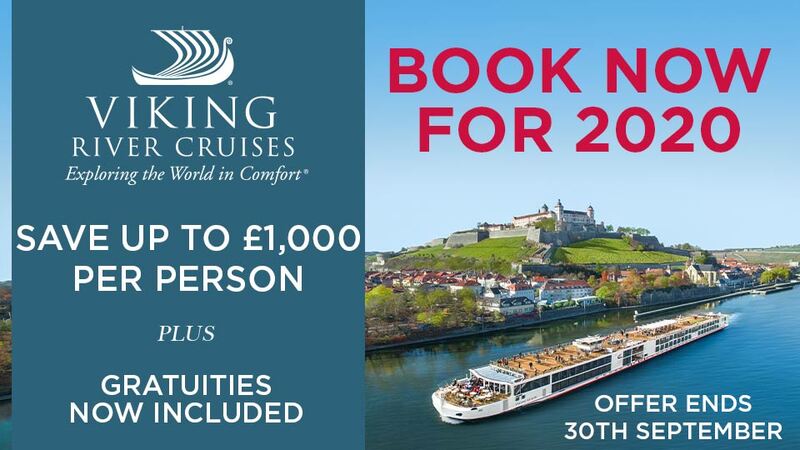 River Cruising is the UK’s leading river cruising expert for myriad destinations throughout Europe and Asia. If you want to explore off the beaten track, we can set you off on an aquatic adventure on some of the most interesting rivers in the world. 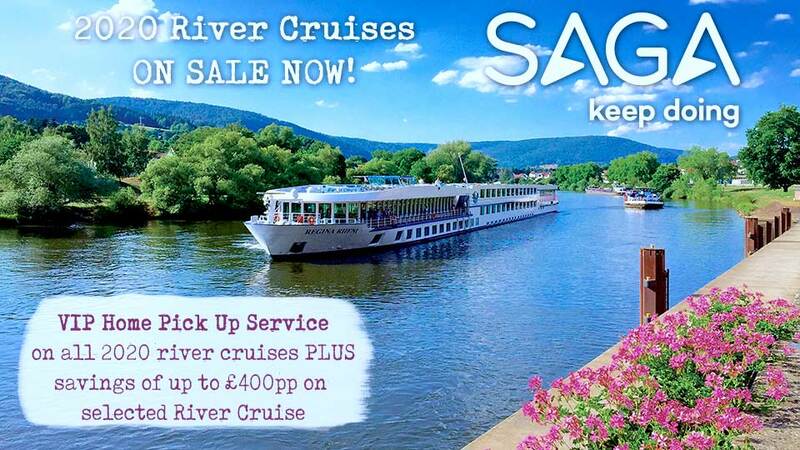 Call us on 0800 810 8220 to get the ball rolling – or, the ship sailing, perhaps?